Roll up, roll up. Dice are cool. They just are. They’re associated with cool stuff like tattoos, custom culture, risk, reward and rock ‘n’ roll. Tumbling dice rock hard. 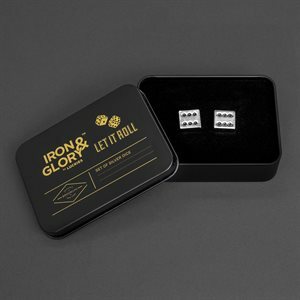 Solid metal, beautifully finished, weighty; these work equally well as rugged décor as they do functioning dice.